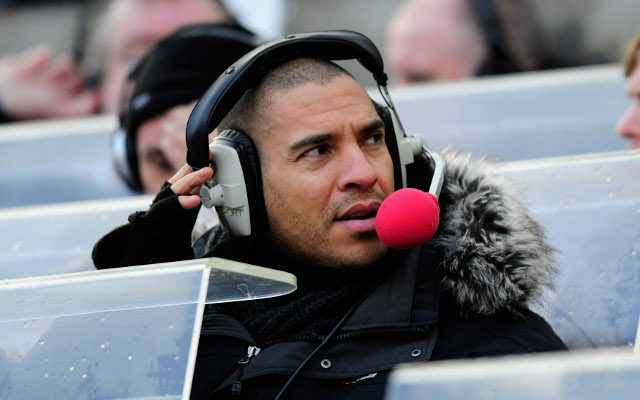 Stan Collymore is never shy about coming forward. He never has been. And today, he’s really made his thoughts on Liverpool’s start to the season clear. Our former striker and once record signing has criticised Jurgen Klopp and labelled him a manager who cannot be criticised – due to his likeable nature and cult status. Considering we’ve played just two matches and won one of them away at the Emirates, we think is a little O.T.T. “Am I allowed to criticise Jurgen? Is anyone?” said Collymore, writing in his latest online column for BoyleSports. “Or is the cult of manager so strong at certain clubs that we all have to blindly wait for Liverpool to show the consistency under a highly-paid, long-contract manager? “I want Liverpool to do well, and I get very excited when gegenpressing works, but let’s be honest, in the Bundesliga or La Liga it’s in a league where you can roll over teams by just working hard. “This is the Premier League, every team does that as a given. “Some progress at LFC, but they remind me of Newcastle 1995-96. Great going forward, all over the place going back. “As I and the Geordies know all too well, that won’t win you leagues, and in Klopp they have invested in a man to deliver that, not just a smiling ‘everything will be okay tomorrow’ manager. “I thought against Burnley the Reds showed little real confidence, tempo, pace or belief that Mourinho’s United did for example or Pep’s City. “Both of those teams played with the kind of swagger you’d expect from title contenders, but Liverpool just passed the ball from side to side, back to front, without urgency or pace which was supposed to be the hallmark of the Gegenpressing manager. “‘But most aren’t his team Stan, he’s not been there long etc etc’. Neither has Mourinho, Pep and certainly neither was Claudio Ranieri last season. “Patience is fine and I’m an advocate of a proper well thought plan but in all honesty, Plan B. What is it? “When the tempo of the Premier League bites you, even two games in, and you can’t blitz teams like City away last season, what then? And he’s wrong about the ‘Plan B’, too. Barcelona, Real Madrid – any Pep Guardiola side – they don’t have a Plan B. Barca don’t bring a lanky target-man off the bench in times of need and neither should we. We got £32m for Christian Benteke, add-ons included, which for a player who doesn’t fit Klopp’s stye, is superb business. Hopefully Klopp and his team will soon prove Collymore wrong and justify our support and patience.